(Anchorage, Alaska) – Calista Corporation’s Board of Directors voted to approve a spring distribution at $6.49 million, up from $6.17 million last year. The number of Shareholders also increased from about 25,000 last year to more than 29,000 this year. This is the 30th distribution in Calista’s history, totaling more than $71 million. The average Shareholder owns 100 shares and will receive approximately $208. On or by April 15 the distribution will occur by direct deposit. At the same time checks will also be mailed for those without direct deposit. Shareholders in the YK Delta should allow up to three weeks for mailed checks to arrive, weather permitting. 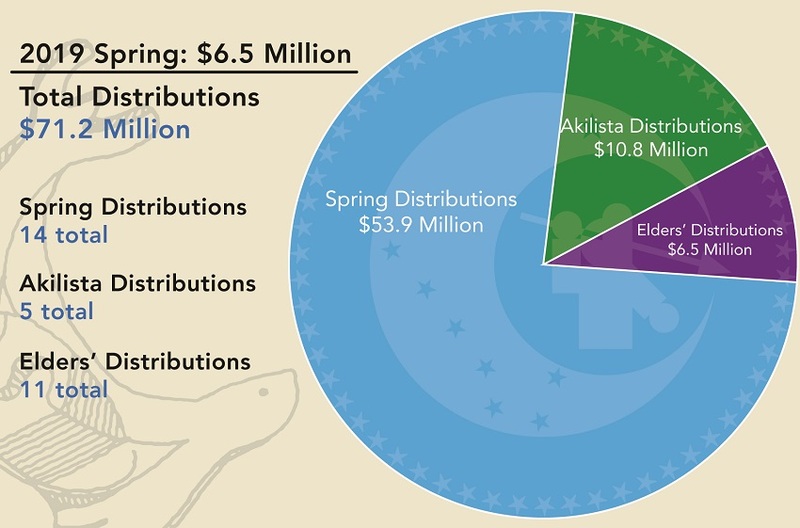 Pending Board approval, Calista has a spring distribution, in the fall an Akilista distribution and near the end of each year a distribution for the Elders’ Benefit Program. Distributions come from the Calista Corporation Settlement Trust. Shareholders can view recent distributions with a free account at MyCalista.com. Calista Corporation has over 29,000 Shareholders and is the parent company of more than 30 subsidiaries in the following industries: military defense contracting, construction, real estate, environmental and natural resource development, marine transportation, oil field services and heavy equipment sales, service and rentals. Since 1994, Calista has provided more than $4.6 million in scholarships to its Shareholders and Descendants. Since inception, Calista has declared more than $64.7 million in distributions, and $6.5 million in Elders’ Benefit Program distributions to Shareholders. Calista can be found on Facebook and Twitter.